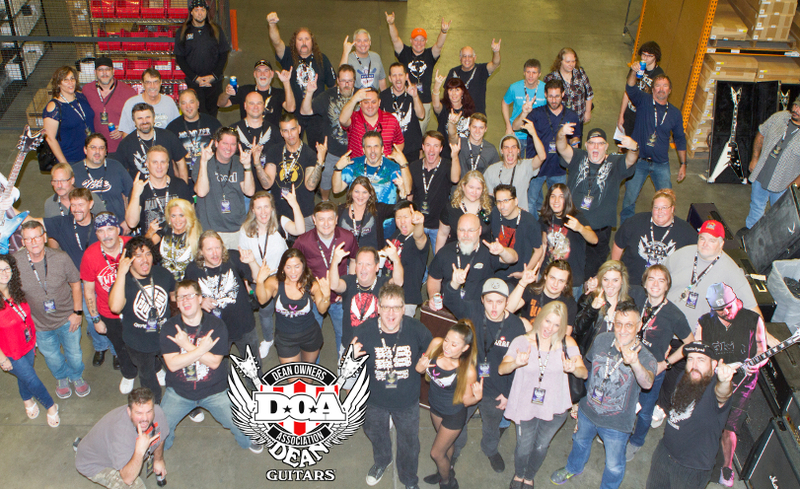 The Dean Owners Association is a club with Dean Guitar fans from around the world. Joining the DOA is simple and members enjoy special information on products, give-a-ways, and a yearly DOA only event here at our headquarters in Tampa, FL. The DOA is a “user-created” group (originally named “The Dean Owners of America”) that began as an off-the-cuff comment on The Dean Guitars Forum in 2001 and now numbers over 3,000 members worldwide. In addition to being a social organization, we provide education and historical information on Dean Guitars. The DOA has always been about great instruments, great friendships and an absolute passion for DEAN Guitars, Basses and more. Stories of the DOA Tampa events are legendary (and not all fit for print) but have always included amazing artist performances and an appreciation of all things music. DOA membership is currently free and there is no requirement to own a Dean; just an appreciation for the brand and its products. Elliott Rubinson, DEAN's previous CEO once said, “[the] Dean Owners Association has been an incredibly dedicated and passionate group of people who have been the voice of the brand to guitarists all over the planet... DOA gives Dean Guitars that chance to open up our facility to the members giving an insider look into a great American Guitar Company." The DOA 2020 Event registration will open in the fall! Watch this space for upcoming details! Please consider supporting the DOA!